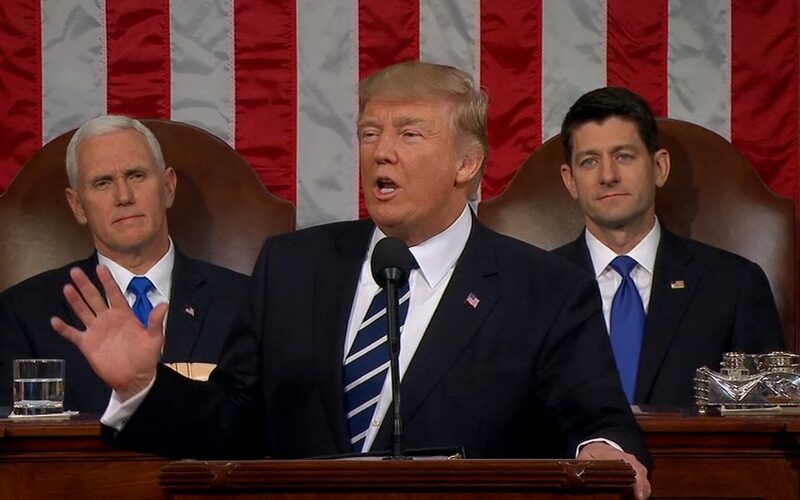 President Trump addresses Congress shortly after taking office in 2017. WASHINGTON – About 90 organizations “committed to the First Amendment” endorsed a statement released March 1 demanding that President Donald Trump cease the demonization of journalists and media organizations. Kevin Goldberg, legal counsel to the American Society of News Editors, and Joan Bertin, executive director of the National Coalition Against Censorship, joined together after Bertin called for a formal statement to criticize Trump and his administration for their handling and criticism of the news media. “The job of the press is not to please the president but to inform the public, a function that is essential to democracy,” the statement reads in part. Among the organizations signing the document are The American Civil Liberties Union, Reporters Without Borders and The National Association of Black Journalists. Trump also has claimed incorrectly that the that Americans agreed with his view of the media. However, A Feb. 2017 poll suggests the opposite. according to a poll last month by Quinnipiac University, 52% of those polled said they trust the media, while 37% of respondents said that they trust Trump as a president.